This is the second offering by Emily Whitman--author of last year's Radiant Darkness . Which I still have not read despite it being a retelling of the Persephone myth I love so much. There is really no excuse for this as I've read several good reviews of it as well. It's time to fix that. 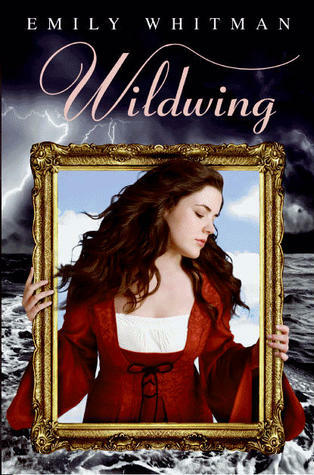 Instead of finding herself trapped in the underworld, Whitman's young Abby winds up trapped in the past. There are mistaken identities, blue-eyed falconers, intrigue, and beautiful gowns. It's all very exciting. Wildwing is due out October 1st. Now, I've never read a book by Ally Condie and I'm thinking this one is going to be my first. Heretofore she's written mostly contemporary young adult fiction. But this one has a twist. The seventeen-year-old protagonist is awaiting the decision of the "Society." The will tell her who she will marry, who she is most "matched" to. Unfortunately, her heart has other plans in mind. I'm hoping for a nice subversive, dystopian slant here. We'll see what we get. Matched is due out November 30th. It's been awhile since I picked up a Christopher Golden book and the man has been busy since last I read him. 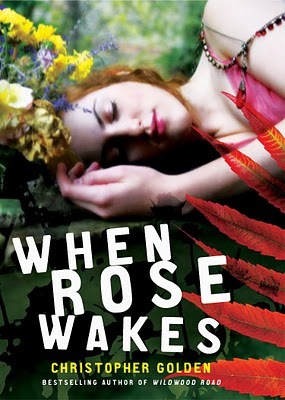 There's little available information on When Rose Wakes but that it's a modern day Sleeping Beauty retelling and that the main character wakes from a coma to and begins to realize she's living the fairy tale. I've read good and bad modernized fairy tales, but knowing Golden this one will be a good one. My favorite Sleeping Beauty retelling is currently Spindle's End . I look forward to a new one. When Rose Wakes is due out September 28th. I am looking forward to all of these as well. I didn't know Ally Condie had previous books. For some reason, I thought she was a deb. I am also looking forward to MATCHED (my most anticipated book this year, aside from A CONSPIRACY OF KINGS), and thank you for WILDWING and WHEN ROSE WAKES. I will have to check that out. Lenore, I think Ally is a debut in the YA market. Her previously published books were for LDS market. I was wondering if/when Emily Whitman was going to release a new book. Thanks for the heads-up on that! I'm definitely going to have to get my hands on it. Oh, and I'm also really looking forward to MATCHED! It looks fantastic. Lenore, Sandy's right. It looks like her previous books were published by Deseret Books. So this is her first mainstream publication. Sandy, have you read CONSPIRACY yet?? It's sooo good. Chelle, I really have to get to RADIANT DARKNESS. And MATCHED really does look promising. I'm excited for this fall! Very observant!! They look like good books! I hadn't heard of Wildwing or When Rose Wakes, but I'm definitely waiting for Matched. It looks really interesting, both from the cover and the synopsis. I cannot wait to read When Rose Wakes by Christopher Golden. Golden's my favorite contemporary author. All three sound good. I don’t know how I’ll find time to read all the new releases on my TBR shelf. Pirate, it sounds like MATCHED is on several people's lists. Can't wait to see what the reaction is. Elise, they do. Each quite different from the other but intriguing in their own ways. Samantha, agreed. I think she really lucked out in the cover department. It will draw a lot of readers in. Sadly, I haven't read CONSPIRACY yet -- I'm saving it as an after-finals gift for myself (one more day!). I'm kind of terrified -- after this, I'll have to wait years again for the next book! Vanessa, yes, the whole frame thing works. Sandy, smart. It's great to have one of those irresistible carrots to hold out in front of yourself at times like that. But I know what you mean. I'm sort of praying the next one will come...a little faster! For all our sakes. 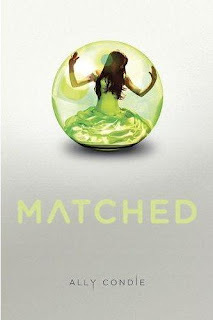 Both the cover and your description of Matched are making me want it now. Why can't it be out yet? !